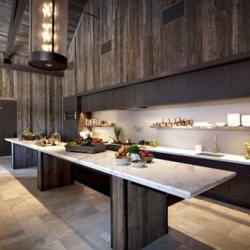 Modern kitchen at Ram's Gate Winery in Sonoma. 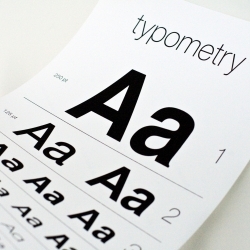 Typometry – a typographic eye chart that's perfect for serious type nerds. 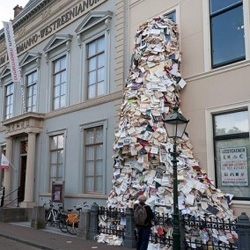 Spanish artist Alicia Martin's latest book sculpture pours out of the Meermaano Museum in the Hague as part of this year's Paper Biennial. Bubble Wrap typography created for the cover of +81 Magazine designed by Lo Siento. 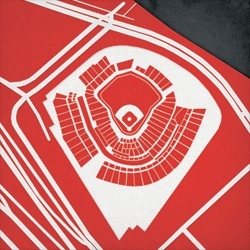 Folding Pocket Scissors from Schoolhouse Electric & Supply Co.
CityPrints are now creating prints of Professional Baseball Fields with their new series Ballparks. 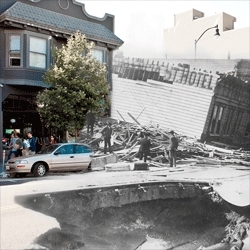 Shawn Clover Part II of 1906 + 2010: The Earthquake Blend, combining photos from the San Francisco Earthquake with San Francisco today. Walk Through Treetops. 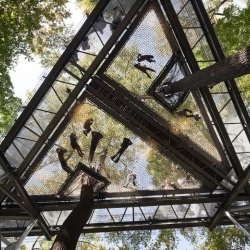 High in the sky, walking along elevated platforms and suspension bridges that connect one tree to another, you can get a bird's-eye view of the ecosystem in the canopies of trees. 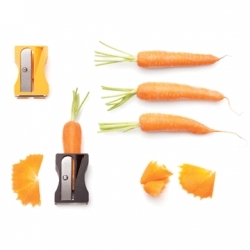 Avichai Tadmor's Karoto, a pencil sharpener for carrots! Designed for Monkey Business. Axiom & Simulation - A new project examines the ways in which humans quantify and explore our surroundings by comparing artistic, scientific, and digital realism. 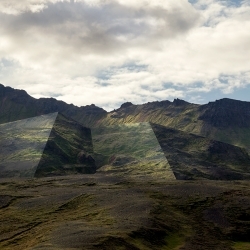 By photographer Mark Dorf in Skagaströnd, Iceland. 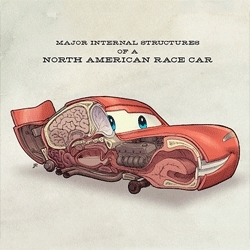 Jake Parker imagines what the anatomy of Pixar's Cars characters would look like. VIDEONervous Structure Series. 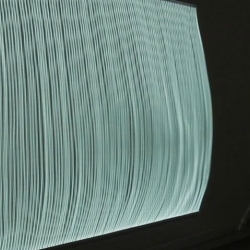 Interactive installations that revolve around the idea of interface, interpreted as the point of contact between two different entities. 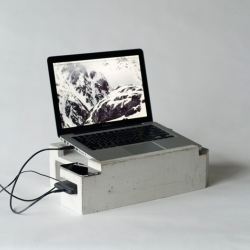 Foundation is a laptop stand made of concrete. There's space for a 13" laptop, a hard disk, cell phone and other gadgets. It's somewhere between architecture, design and geekery. 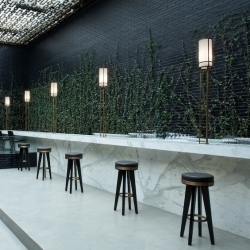 After signing the interior of the restaurant Beefbar Monaco, Poyet & Humbert agency achieves development of the first BeefBar Mexico. 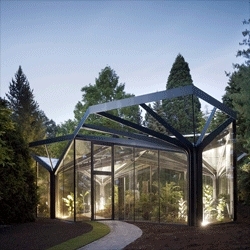 The stunning Greenhouse at Grüningen Botanical Garden by Buehrer Wuest Architekten. 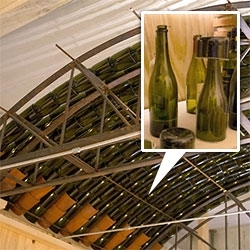 FEATUREDRecycled Wine Bottle Roof ~ cut wine bottles are nested to create a glass catenary rooftop that creates beautiful shadows at the Venice Biennale. Best Wishes Key from Good Worth & Co. 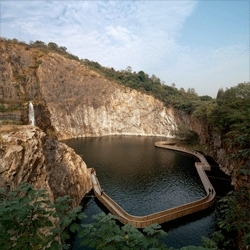 The impressive Quarry Garden in Shanghai Botanical Garden. 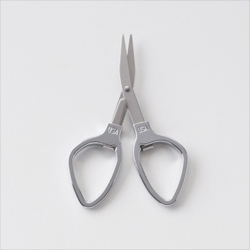 Peel designed by Tokyo based design unit, YOY. 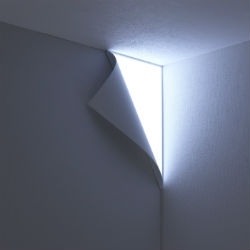 The light is meant to look like the wall paper is peeling off and light is beaming in. FEATUREDAl Aire in the Spain Lab set up at the Spanish Pavilion in the Venice Biennale. 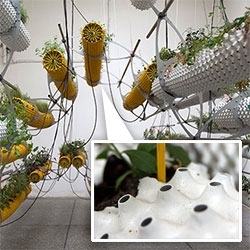 This plant growing structure is built to optimize resources, lead the roots right where you want them, and you can have a floating garden anywhere! 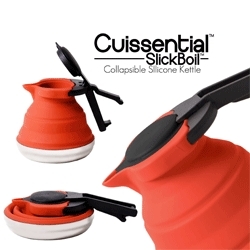 The Cuissential SlickBoil is a collapsible, silicone tea kettle! 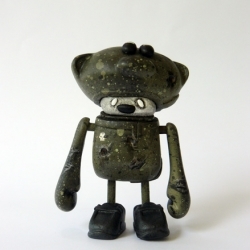 FEATUREDThis week’s roundup from NOTCOT.org includes tiny robot sculptures, muscle music and lava on ice. 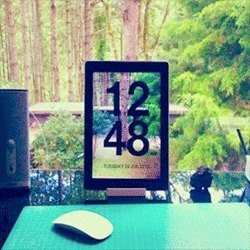 Chameleon clock for IOS shows the time, but blends into your environment by using the camera on the back of your device. 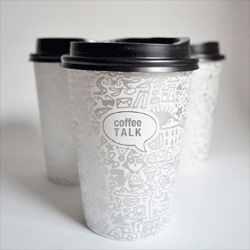 Nimrat Brar's concept and design for pop-up event Coffee Talk promoting idea sharing over coffee among the graduate community at Pratt Manahattan's 7th floor gallery. 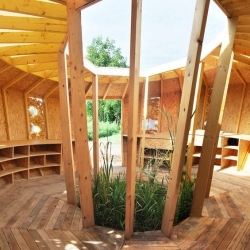 As part of the festival Archi <20 in Muttersholtz - France, architects Bastien Saint-André and Maxime Lang designed this prototype of circular housing. 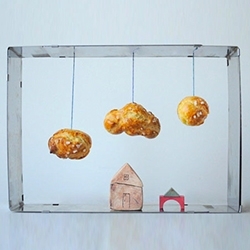 Food design: Watch Gallery of Sweet Creations by pastry sculptor and patissier Ayako Kurokawa from Brooklyn bakery Kuroiwa. Dust The teddys R.B.S. IV “open helmet version”, is limited to 10 pieces. Each figure is a unique item painted by the artist. 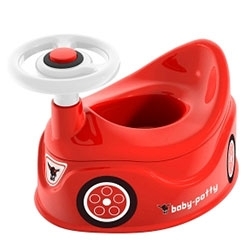 Both toy and box are designed and produced by Dust. 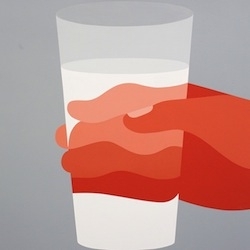 Los Angeles based artist Geoff McFetridge has an upcoming solo exhibition titled 'Around Us & Between Us' at Ivory & Black Soho in London. 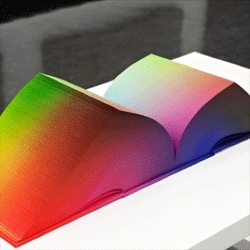 Tauba Auerbach's RGB Colorspace Atlas, a beautiful book of colour. 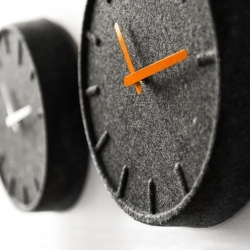 This clock is made out of 60% recycled PET. The PET felt allows a single-step production, offers sound dampening properties and provides a non-obtrusive aesthetic. 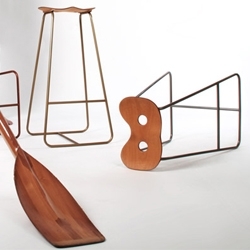 Designed by Sebastian Herkner for LEFF amsterdam. Broadbase's retro redesign of Tala bakeware. Phone. Wallet. 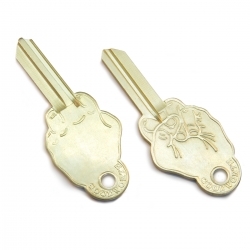 Keys. Sunglasses. 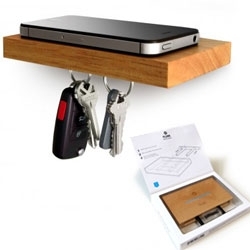 Keep all your essentials on this small floating shelf with a magnetic underside. 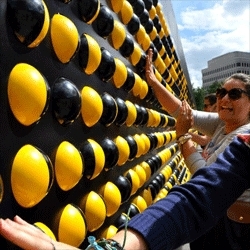 Songboard London, multisensory interactive installation, at the entrance to King's Cross Station, allows users to create their own songs by turning and pressing a series of buttons. 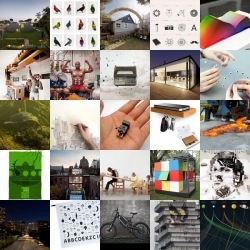 Great project from students at Central St Martins. 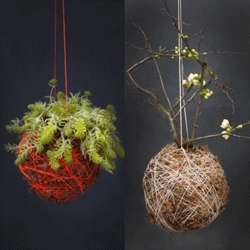 Interesting range of hanging planters from Mister Moss. One even holds a flowering quince! Hope you love your neighbors! 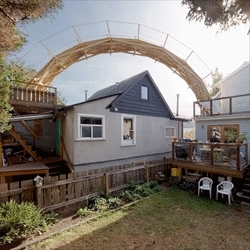 Reece Terris created this pedestrian bridge between two neighboring homes! 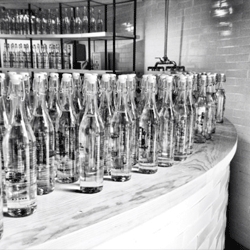 Cadena + Asociados Brandin's lovely branding and packaging for Casa del Agua, an artisan bottled water. 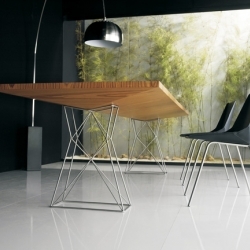 Curzon dining table for Modloft. 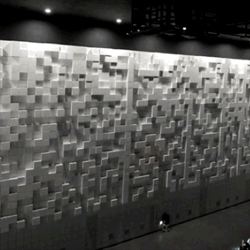 VIDEOHyper-matrix by Jonpasang for the Hyundai Motor Group Exhibition Pavilion is a dynamic vertical wall made of thousands of cubes. 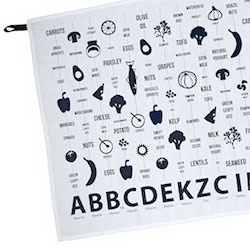 The Food Guide tea towel: Our nutritional food chart gives everyone a little help in the kitchen, as well as being a handy 100% premium cotton tea towel! 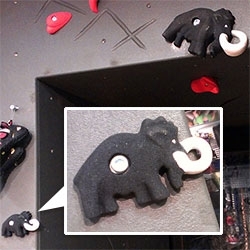 FEATUREDMammoth Rock Climbing Holds! MAMMUT! Inside the store in Linz, there's more of the adorable mammoth logo than online - it exists as stuffed toys, mugs, and even rock climbing holds! 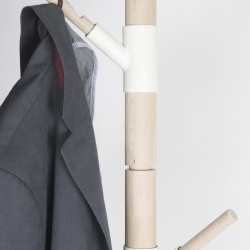 Storable Coat Rack by Bram Vanderbeke: A coat rack, completely storable in a metal box. 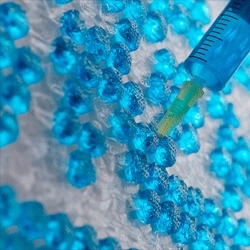 The various connecting pieces can be assembled in different ways. So it is possible to adjust the rack to the location where it will be placed. 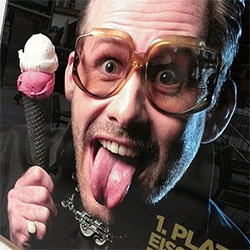 FEATUREDBlack Ice Crame Cones of Eisdieler: Verboden Lekker in Linz from #49907 ~ we had to know more, so went back again, and took pics of the crazy menu filled with more unusual pics! Boxy is beautiful! 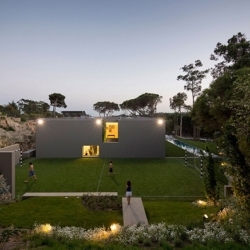 Take a look the House in Quinta Patino, Portugal - The living wall is unreal! 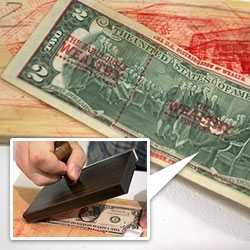 FEATUREDOccupyGeorge.com ~ brilliant stamps for 1$ bills that started during the Occupy movements~ is at Ars Electronica Fest's CyberArts 12 and you can stamp your own! It's especially awesome on the 2$. 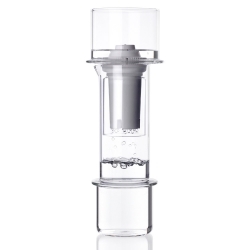 Tower Glassware, minimalist design collection that celebrates the grace and elegance of water, includes glasses, carafe with filter, all hand made from borosilicate glass. 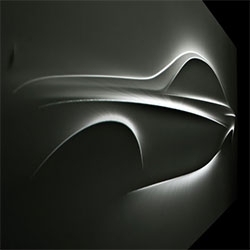 By designer Sebastian Bergne.